Learn how to get Impact Windows through a government approved program. What that does is, it actually increases the insulating value of your impact windows, so you’re getting your round benefits when you upgrade to not only an impact window but an insulated glass impact window. Generally, when we order these windows what we’ll do is we’ll have them coat the outside of the window with Low-E coating, it’s maybe hard to tell on camera but if you’d look at this window from the outside, it actually has a slight green tint to it. So what are those daily benefits? Again with a standard impact window, you’re getting security, you’re getting sound reduction, you’re getting a slight thermal value which means you don’t get the heat transferred through the glass as you would a standard non-impact window. You’re also getting a higher strength wind resistance which is how impact windows, one of the ways impact windows are rated. So you may ask, so what does that all boil down to? Well, we all understand impact windows but I think a large majority of people don’t understand the benefits that they offer every day. If you have a standard window and a burglar wants to break in, it’s very simple, they crack the glass, stick their hand and open the lock and in they are. From Custom Homes to Complete Home Renovations and Additions. 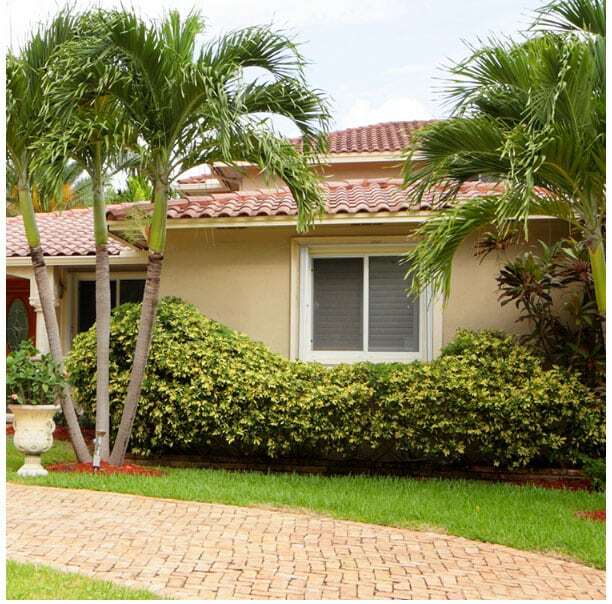 We Provide Construction, Remodeling and Repair Services For Your Property. We take pride in all aspects of home renovations. Give us a call at 954-324-2390 for a free no-obligation consultation today. With our impact glass window, not the case, they may be able to break the window but the likelihood of them getting in is significantly reduced, the way the glass attached to the frame, it’s not going to separate, they’re not going to be able to simply push it in because of the lamination of the impact window. However, like I said, one of the biggest benefits to go into an impact window with insulated glass which is what this window is, is it offers you an insulation value. So up north they were very popular, people that are from up north know that they have duo pane windows, what that does is when it’s cold outside, it keeps the cold from coming in through the window and in to your house and increasing your energy bill, the heating bill while works exactly the opposite in south Florida, we have such a high level of heat and ultraviolet rays from the sun being so close to the Equator that we actually get ultraviolet rays that penetrate the window and heat up the inside of your house. When you upgrade your window to an impact window, that’s an insulated glass and has this additional coating of Low-E on the outside, those ultraviolet rays reflect so you don’t get the heating of the material inside your house, the heat doesn’t transmit through the window as well, it actually has an R value for people that are up on what R value is, that’s an insulation value, like we put insulation in your attic, they’re rated R-9, R-19, R-30. This window is so good at reducing heat, it actually equivalents to an R-value. When you put these windows in, the sound just like the ultraviolet light is often reflected, it doesn’t transmit, reverberate through the piece of glass, through the dead space of the argon and then through the impact glass on the inside into your house, make sure home much much quitter. So you get all those benefits, security, temperature, hurricane resistance impact, there is no need to cover these windows with shutters, with accordions, with panels, with wood, they meet the same standard that all of those products do, that’s how they’re tested, they shoot a 2 × 4 at this window, very similarly the way they shoot it at a standard accordion awning or at aluminum panel shutter that goes over your window, they meet the same test, that’s what qualifies them. So they’re great products, well worth the investment in your home, if you’re planning on being their a long time, I would not only recommend upgrading to an impact window but also an insulated glass window with a Low-E, get the highest efficiency, make your home as efficient as you can. They do qualify for tax rebates based on their energy efficiency rating, they’re a great product, PGT happens to be the brand that I like the most, I’ve had a lot of experience with them, the quality, the warranty, the reputation all hold through with the product. But there are other brands out there, some people prefer different lines and that’s okay as well, sometimes that boils down to price and we all understand price is important but sometimes you get what you pay for and the quality, the craftsmanship of this product is one of my favorites that I’ve seen on the market. 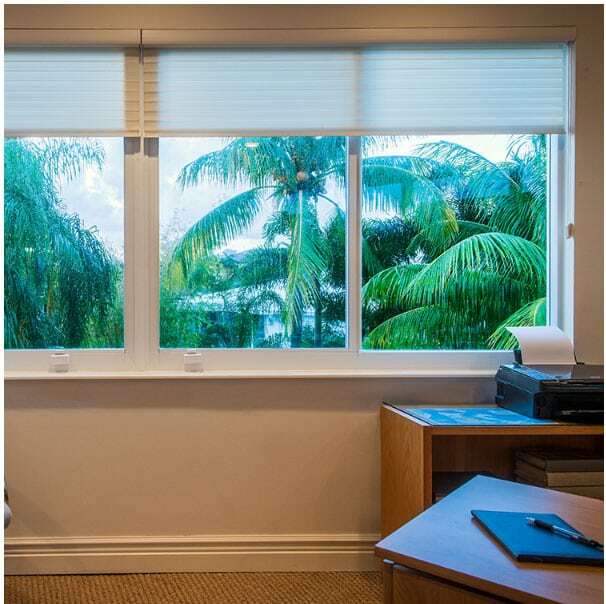 They do make the windows in two different qualities, this is an aluminum frame window, the other available style is a vinyl frame window, the vinyl frame window will actually also increase your energy efficiency rating because the vinyl doesn’t transmit heat quite as much as the aluminum. They’re beautiful for whatever décor matches your home. So something to consider if you’re a south Florida resident, you’ve been through any of the recent storms, you know what a hassle it is, if you don’t have impact windows, putting up shutters and putting up panels and climbing on ladders and screws and all the problems that come along with that, this is priceless protection right here and you have nothing to worry about and you don’t have a dark home, during the storm you can see what’s going on and know that you and your family are going to be safe once these are installed. Call Rapid Construction for a free no-obligation consultation. We have the perfect impact windows for every budget.